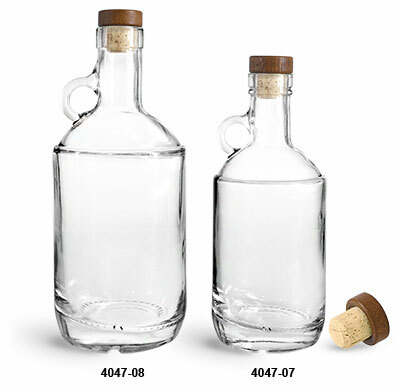 These moonshine bottles include stained wood bar tops with natural corks and create a complete look for packaging products such as liquors, syrups, and more. The bar tops are composed of dark stained wood and include natural corks to create a snug fit when sealed. The clear glass bottles showcase products with high clarity and a large labeling area enhances customer appeal.